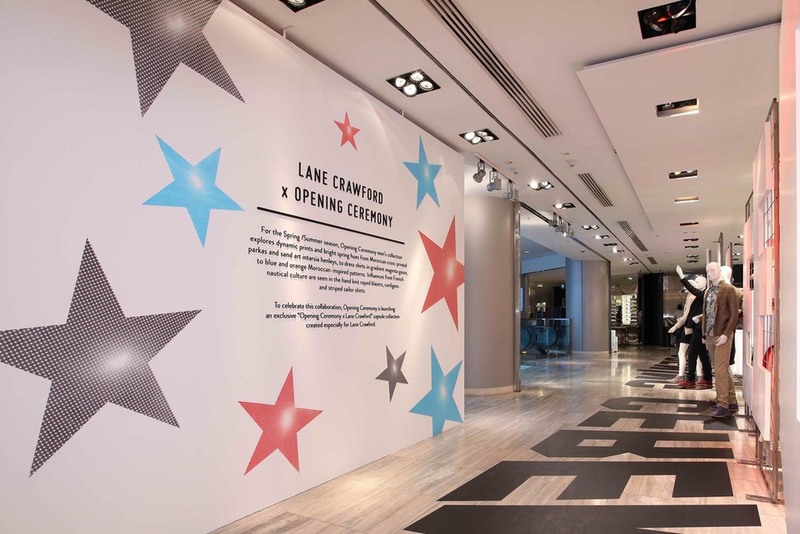 Several seasons after Gogoluxe introduced Lane Crawford and Opening Ceremony, and the Hong Kong retailer had been offering the designs and collaborations of NY-based OC to its market, Lane Crawford created a month-long, virtual OC outlet, within its own stores. The creative installations in both Hong Kong and Beijing depicted a NY street scene, French flea market and tribute to Broadway. The visual merchandise celebrated the product on offer, consisting of the assortment of acclaimed designers, as well as artistic and designer collaborations for which OC has become highly regarded. Part of the covetable assortment was even draw from the OC archives and exclusively re-worked for the local market as part of this important event. 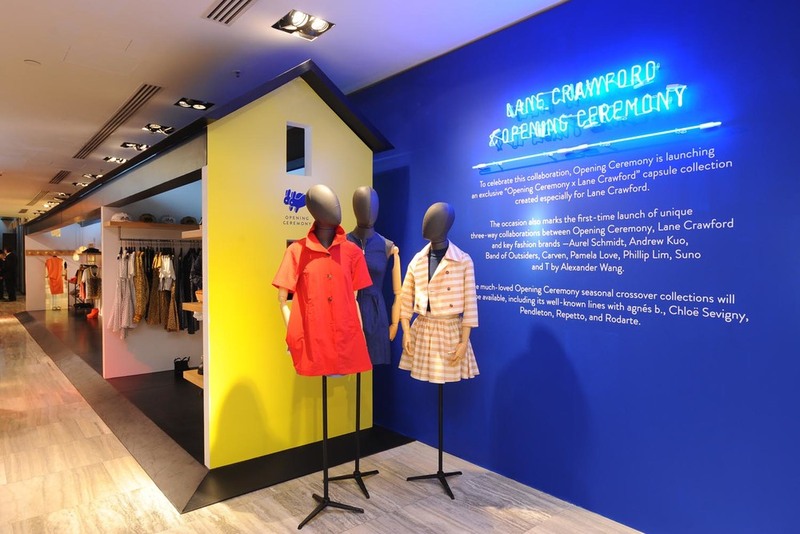 For the launch at the Hong Kong IFC mall location, OC founders Carol Lim and Humberto Leon were joined by their long-standing designer celebrity collaborator Chloë Sevigny, which resonated well with the A-list crowd of attendees.